. يقدم Alpin Motel & Conference Centre خدمات لا غبار عليها وكل أشكال اللياقة وحسن الضيافة اللازمة لإسعاد ضيوفه. يمكن للنزلاء الاستمتاع بالميزات التالية: واي فاي مجاني في جميع الغرف, مرافق مخصصة لذوي الاحتياجات الخاصة, تخزين الأمتعة, واي فاي في المناطق العامة, صف السيارات أثناء إقامتهم في هذا المكان الرائع. بالإضافة لهذا، تتضمن كل غرف الضيوف مجموعة واسعة من وسائل الراحة . بعض الغرف توفر حتى تلفزيون بشاشة مسطحة, سجاد, رف للملابس, قهوة فورية مجانية, مناشف لإرضاء أكثر الضيوف تطلبًا. إن ساونا, حمام ينبوع ساخن, مسار جولف - ضمن 3 كم, حمام سباحة خارجي, سبا هو المكان الأمثل في الفندق للاسترخاء وتفريغ طاقتك بعد نهار طويل. إن Alpin Motel & Conference Centre هو مكان مثالي للمسافرين الذين يتطلعون إلى الراحة والاستجمام في المدينة. was very nice cool , very big room nvr thought it will that, be complete kinda house unit love the room more comfortable .. it more suitable for family trip clean .. happy to found this one, this is my last min choice. . but we are satisfy with this . First of all, we arrived early, 2 hours before the std check in time. The owner was kind enough to allow and arrange check in without additional charge. Hotel is easy to find right on the main road. Our unit is a 2-room unit with adequately equipped kitchen. Room size, bath room are spacious. Room rate is more than reasonable. Like this place very much and will surely recommend to others. The light in the bathroom wasn't working and the fridge was so cold it was essentially a freezer. This caused our food and drinks to ruin. When I notified the owners about this, they were totally unapologetic and just said it was due to the hot summer weather. This was second visit, but felt a bit different. Booked two double beds room, but it was a king(I think) size bed in a room and two single sofa beds in dining area. Two kids used the one in the room and my wife and I used single sofa bed, but it was quite noisy when a truck or motorcycle passed at night as our unit was near road. however we enjoyed spa in our unit and swimming pool. One night stay for us, wished can stay longer to enjoy the facilities. Good private outdoor tub that can be utilised but we didnt get to use it fully. Next time maybe. This was a last minute booking for us and the price was reasonable compared to the few accommodations left available. The back cushion in the sofa (which also becomes a bed) did not look clean. There was also a strand of light hair on the bathroom wall that did not belong to us (we all have dark hair). Not walkable to the centre where you have many restaurants like Eat Streat, but walkable to Te Puia. I spent two nights here and had a room with 2 bedrooms. I spent my time in the back bedroom which was very quiet. Loved the plunge pool. You're given a small bottle of bubbles for it on check in. If you don't have a car there is a bus service or taxi to easily take you anywhere. Front desk can help you book anything you want to see. The only down side was the pool was being repaired when I was there so I didn't get to try it. Upon check in, we were warmly greeted by the hotel staff who seems very nice. We were given a bottle of milk together with the room key. 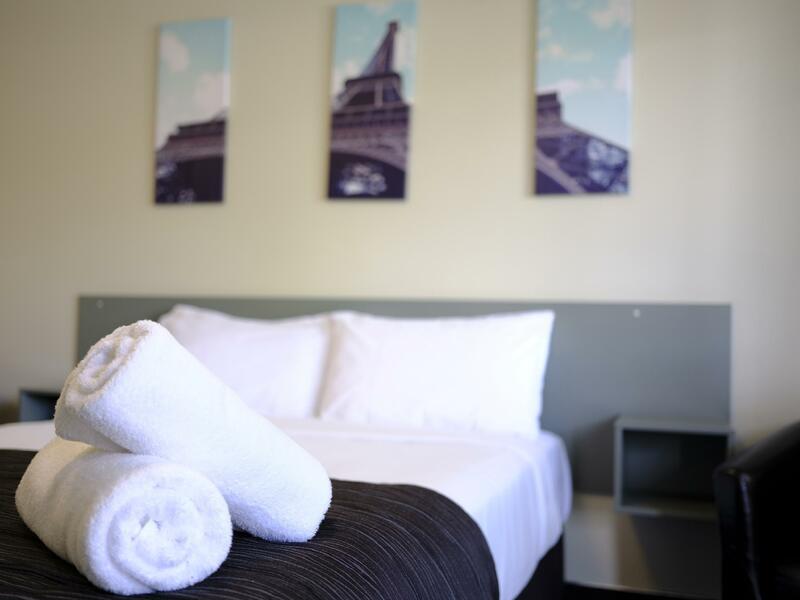 The room is spacious, and all the beds are equipped with the bed warmer. The kitchen and bathroom are clean, and for the price we paid, I really think it is worth the money. 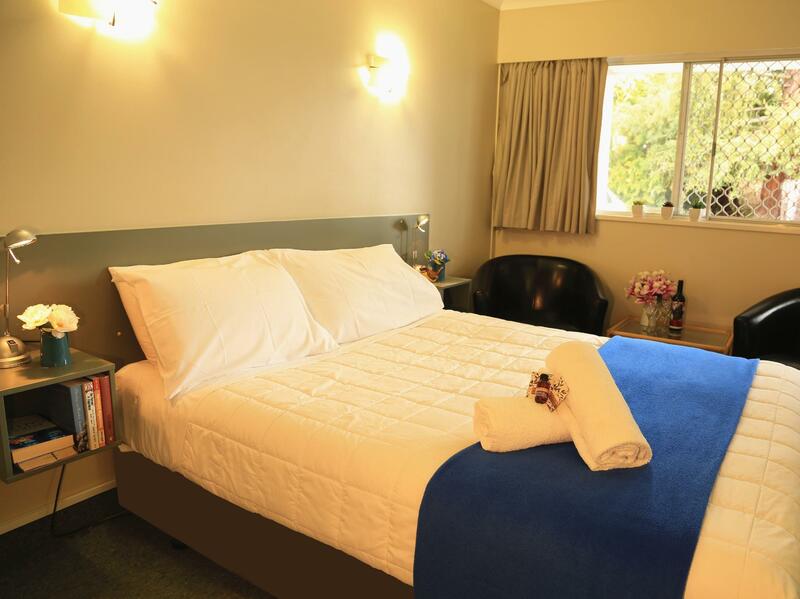 The motel is very close to Whakarewarewa Maori Village, and Rotorua Lake is around 5 minutes drive from the hotel. Too bad that we didn't have time to try the small pool outside our room, but I liked that the reception gave us a bath gel for it. The room was spacious. I felt a bit weird of a giant mirror in front of the bed, but other than that there was nothing I felt uncomfortable. 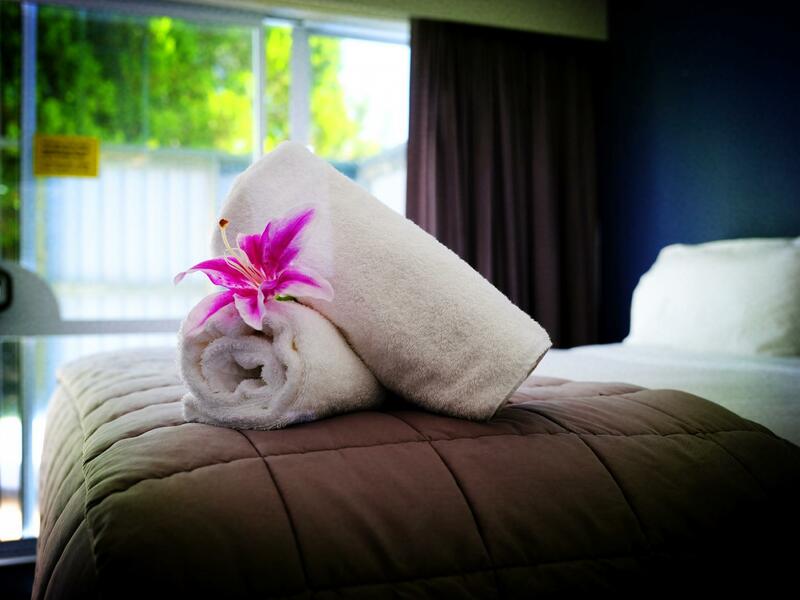 The rooms was clean and serviced very day, with fresh towels. The own spa pool was awesome, as our little one enjoyed it very much. The staff was so friendly and helpful. I would highly recommend this motel to families travelling with children. 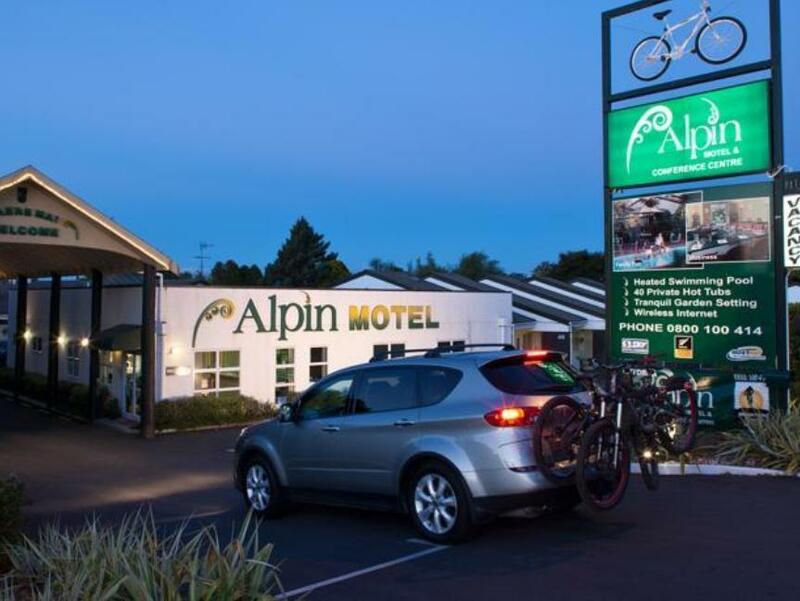 Fourth time we have stayed at Alpin Motel. Last time we stayed we found the room we had was not up to their usual standard but this time the room was perfect. Couldn't fault anything. Would recommend it to couples or families. check in was a breeze, room was great. full kitchen, powerful hot shower, outdoor jacuzzi was a bit of a fizzer - not water pressure to speak of. Was a letdown as this is what i really needed after a full day of biking in nearby Redwood forest. 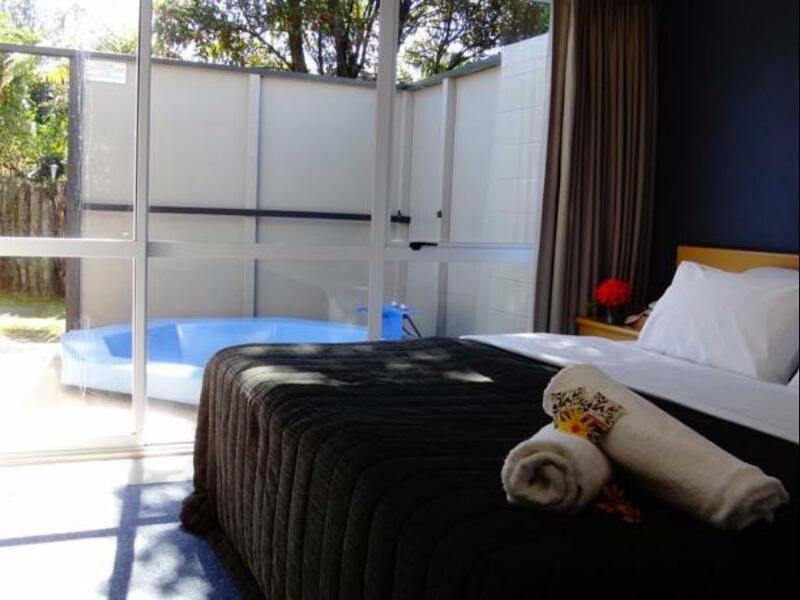 We have enjoyed our stay with the heated plunge pool, well facilitated kitchen, free parking at the doorstep and clean room. The receptions were very friendly too! The only comment is the heater in the room was very mild and we felt a bit chilly at night. It would be good if the air cond with heater functionality is relocated from the living room to our bedroom. The staff were friendly & helpful with local attractions & directions. The room was large & comfortable. The hot tub & heated pool were appreciated after 2 long days mountain biking in the Redwoods Forest. Great location, close to city centre & tourist attractions. It was like a home away from home.